The money paid in advance by Ukraine to Gazprom is sufficient for gas supplies for approximately seven days, Gazprom said after confirming they received a $15 million transfer from Ukraine’s Naftogaz. The average amount of gas used daily in Ukraine stood at 10 million cubic meters in the first half of March, Ukrtransgaz has found. 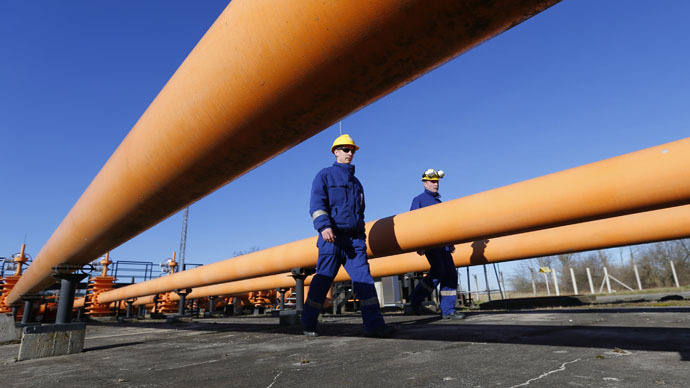 During that period Ukraine has imported 150,147 million cubic meters of gas from Russia. The prepayments are made under last year’s agreement on gas supplies between Russia and Ukraine. The deal fixed the gas price at $378 per 1,000 cubic meters. But the decrease of oil price lowered prices, with gas now supplied to Ukraine at $329. Since the end of February Naftogaz started to make payments by $15 million parts. The first advance payment was transferred February 26 and other followed on March 4, 5 and 12. At the beginning of March, President Petro Poroshenko blamed Russia for charging Ukraine 15 percent more for its gas than countries in Europe and said he would get gas in reverse supplies from Europe at $245 per 1,000 cubic meters. A new gas stand-off between Russia and Ukraine started in February when Kiev suspended gas supplies to Donetsk and Lugansk regions, allegedly due to pipeline damage. Gazprom then promptly began direct supplies to eastern Ukraine. Naftogaz refused to pay Gazprom for direct gas supplies the eastern regions from February 19. The so-called "winter package" terms for gas supplies to Ukraine expire on March 31, along with a $100 discount per 1,000 cubic meters of gas. The conditions of gas supplies to Ukraine in the spring and summer periods are to be discussed at the next meeting of Russia, Ukraine and the EU. The meeting will be held in Brussels Friday, as Anna-Kaisa Itkonen, spokesperson for European Commission, wrote on her Twitter account. Ukraine’s Naftogaz owes Gazprom $2.4 billion for deliveries, including $200 million in penalties, according to the Russia’s energy minister's estimates.